Christine graduated from Connecticut Center for Massage Therapy in 1999 and has been at THE RIGHT TOUCH since March 2000. She is licensed in Connecticut and New York, nationally certified and a member of The American Massage Therapy Association. Christine has spent the past 20 years in the medical field. For 14 years she had been a respiratory therapist in an acute care setting. This has allowed her to become familiar with numerous medical issues. She has expanded her massage therapy knowledge by becoming certified in Orthopedic Massage, which enables her to more effectively access and treat injuries, and chronic pain, She has also studied Facial Rejuvenation, Myofascial, CranioSacral™, Ayurvedic Maram, and Ashiatsu Oriental Bar Therapries™. Her primary focus is to tailor each session to meet each client’s individual needs. 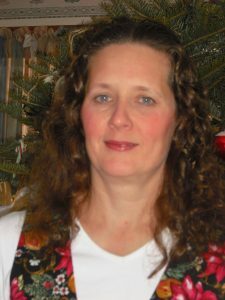 Christine intuitively blends her various skills and techniques to create diverse sessions from stress relief and relaxation to specific deep tissue work. The Right Touch of Connecticut proudly features the purist botanical preparations of Dr. Hauschka for Holistic Facials . Developed by German scientist, Rudolph Hauschka, the Dr. Hauschka botanical preparations are derived from medicinal herbs cultivated in biodynamic, organic gardens or wild crafted. Each plant is individually harvested at sunrise and prepared according to Dr. Hauschkas' unique seven-day rhythmic process. The resulting aromatic cosmetics are world renowned for their purity and therapeutic effects. Skeletal muscle tension is the most common cause of pain. Since the nervous system participates in all disease processes that we know of, by eliminating the neuromuscular component of that process you will see miracles occurring through your therapist’s hands.